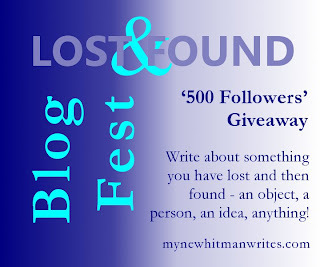 Myne Whitman Writes: The Lost/Found BlogFest and 500 Followers Giveaway! The Lost/Found BlogFest and 500 Followers Giveaway! Just a reminder to start getting your posts ready. To those who have not signed up, or left a comment to enter for the giveaway, you can also do so now. All the best everyone! So, having hit the 500 mark, I want to use this opportunity to thank you all, my friends, fans, blog readers, feedbackers, contributors and I'll be showing my gratitude through a giveaway. You guys are really amazing! You all have been very supportive in the year and half this blog has been up, supporting me through the publication of A Heart to Mend, and now a second book is in the works! 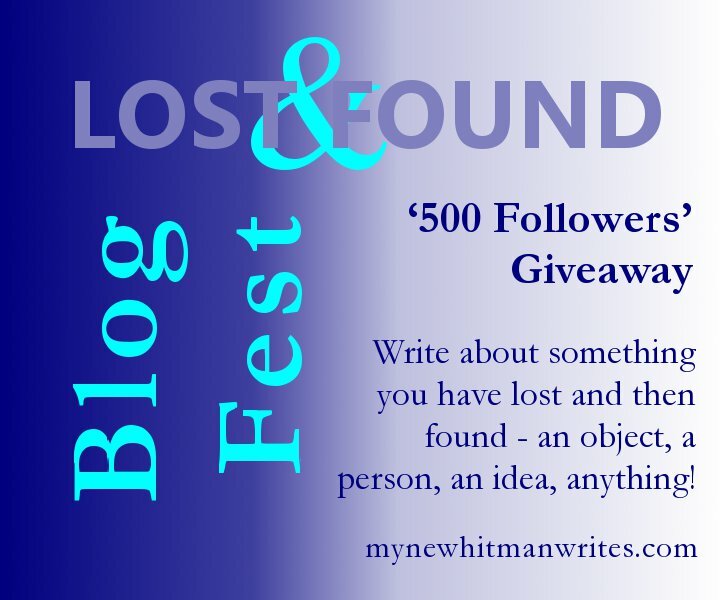 To celebrate with all you great people, I've launched the Lost and Found Blogfest and 500 Followers Giveaway! There is something for everyone, pick as many as you want! 1. Leave a comment below and you'll be eligible for an autographed paperback copy of my forthcoming novel, A Love Rekindled - Hot off the Press! 2. When you sign up for the blogfest using the Linky Tool below, there is another autographed copy up for grabs. 3. Those that share the BlogFest button on their blogs will be entered into a drawing for a $10 Amazon Gift Card. Button is on the top right. 4. If you like my fanpage Myne Whitman Writes, and leave a comment, you get into another drawing to win an eBook ARC of A Love Rekindled. 5. The person with the most tweets about this giveaway tagged #aloverekindled @Myne_Whitman, gets another eBook ARC of A Love Rekindled. 6. 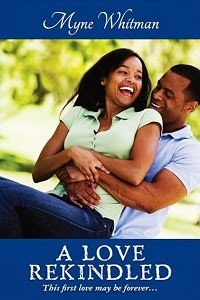 Five followers of my blog also get a chance to win eBook versions of A Love Rekindled. 7. The person I like their Lost and Found blog the most gets...wait for it...$25 cash! To be made by Paypal. So, why Lost and Found? Well, some of you know that my second book is forthcoming in late March. A Love Rekindled is a love story of college sweethearts, they lost each other along the way and when they found each other again after a decade, love is rekindled. So what do you do? From March 25 - 31, post a blog telling me about anything you've ever lost and found, an object, a person, an idea, anything! The same week, visit two other blogs in the list, read their entries, and leave comments. I will be visiting everybody. On April 3, I'll announce all the winners of the blogfest and giveaway! ps. When you sign up below, you have to refresh after registering to see your name. I look forward to your stories. Thanks!